Semtech Corporation (Nasdaq: SMTC), a leading supplier of high performance analog, mixed-signal semiconductors and advanced algorithms, today announced an updated feature set for its BlueRiver™ AV-over-IP chipset which allows manufacturers of AV transmitters and receivers to address important requirements in key markets including industrial and rental & staging environments. 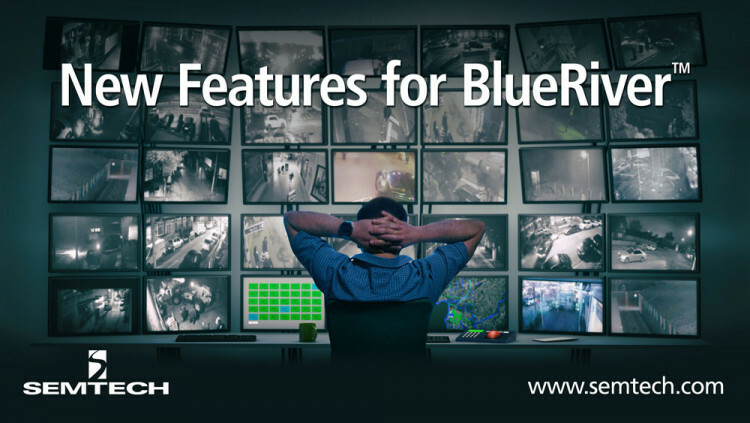 New BlueRiver capabilities include support for two data ports enabling failover to a second Ethernet switch when necessary in applications requiring high availability and support for automatic media selection of a copper or fiber port. The link redundancy lets manufacturers create products with two Ethernet ports which can be connected to different switches. If one link goes down, the other link will automatically be brought up and used within seconds. This is important in command and control, industrial and broadcast environments that need real-time vision and data. Automatic media selection for a copper or fiber port is ideal for rental & staging applications such as live concerts and conferences where integrators and installers face variable network infrastructure from job to job. The automatic media selection allows products to be designed with one copper and one fiber port. BlueRiver detects which port is active and automatically uses that port for 10G connectivity. Manufacturers can select which port takes priority in case both are connected. This allows manufacturers to build a single SKU for rental & staging applications and gives installers field-level flexibility to stock just one device that is used with either 10G network type. All statements contained herein that are not statements of historical fact, including statements that use the words “will,” “ideal for,” “committed to delivering,” “designed to” or other similar words or expressions, that describe Semtech Corporation’s or its management’s future plans, objectives or goals are “forward-looking statements” and are made pursuant to the Safe-Harbor provisions of the Private Securities Litigation Reform Act of 1995, as amended. Such forward-looking statements involve known and unknown risks, uncertainties and other factors that could cause the actual results of Semtech Corporation to be materially different from the historical results and/or from any future results or outcomes expressed or implied by such forward-looking statements. Such factors are further addressed in Semtech Corporation’s annual and quarterly reports, and in other documents or reports, filed with the Securities and Exchange Commission (www.sec.gov) including, without limitation, information under the captions “Management’s Discussion and Analysis of Financial Condition and Results of Operations” and “Risk Factors.” Semtech Corporation assumes no obligation to update any forward-looking statements in order to reflect events or circumstances that may arise after the date of this release, except as required by law.